A Peoples Democratic Party (PDP) presidential aspirant and Governor of Sokoto State, Hon. 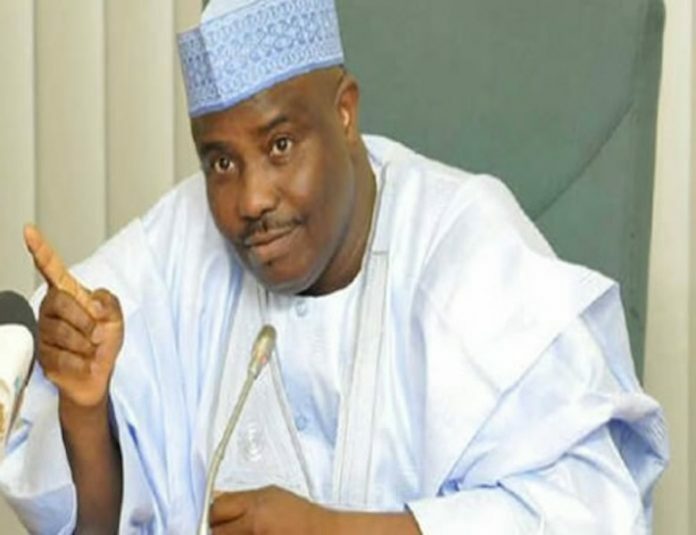 Aminu Tambuwal, has assured Nigerians that he will back the much sought after restructuring by a segment of Nigerians if elected the president of the country in 2019. Tambuwal said that the presidency remains the symbol of the country, adding that he won’t fan the ember of ethnicity or exhibit those tendencies that would make Nigerians perceive him as a sectional leader, as being allegedly experienced under President Muhammadu Buhari’s government. He said he had ruminated on the cost of being a president of a complex nation like Nigeria and was determined to offer dynamic leadership that would unify Nigeria and make it a potent force that would be recognised globally. The Sokoto State Governor urged the PDP members not to waver in spite of alleged oppression and humiliation being meted to some of their leaders by the All Progressives Congress (APC)-led federal government. The PDP presidential aspirant said: “The focus of every Nigerian in 2019 is to vote for a president that is pan-Nigerian. A man who is not an ethnic jingoist or religious bigot. “We are all aware that the present government is desperate to perpetuate itself in power. They are ready to do those things outside the laws of the land to remain in power. That was why they have been harassing leaders like Governor Ayodele Fayose. “You must try and give the PDP flag to someone who believes in the unification of this country, Someone who has traversed the length and breadth of this nation. Someone who has moved from Maiduguri to Lagos, from Port Harcourt to Sokoto and from the East to the extreme North as a private person. “As the former Deputy Minority Whip, Minority Leader and Speaker in the House of Representatives, I have an idea about the geographical configuration of this nation, so I am in good position to respect individual rights. for you to impose your will on the people, you must allow diverse opinions based on our religious and ethnic diversity. He urged the members of the party to be resolute in spite of the alleged intimidation of members using the state apparatuses, saying: “We need a courageous PDP to take over power in 2019. Also speaking at the event, Ekiti State Governor Fayose described the APC-led federal government as a ‘monster’ that was only allegedly interested in oppressing people with power, rather than transforming their lives. The governor lambasted the federal government for allegedly excluding Ekiti from benefiting from the N2.5 million budget support and N11 billion Paris Club refunds released to some states recently, alluding to such as anti-democratic and against the principles of federation. He urged the Sokoto State governor and presidential aspirant to campaign for the PDP the way he did in 2015 for President Buhari. ayose said: “You (Tambuwal) were one of those who repackaged President Buhari in 2015 and ensured he won the presidential election. You must make sure you do same in the 2019 election. “Everyone knows that we need a youthful president with energy. Someone who can see Nigeria as one indivisible entity, not a tribalist and religious bigot. The treasure of any man is his vitality, which would make him work harder to deliver his people from poverty. “Look at what they did now, they excluded Ekiti from N11.6 billion Paris Club and N2.5 billion budget support fund I would have used to pay the backlog of salaries. “I want to appeal to all workers to ensure that the money is not diverted. 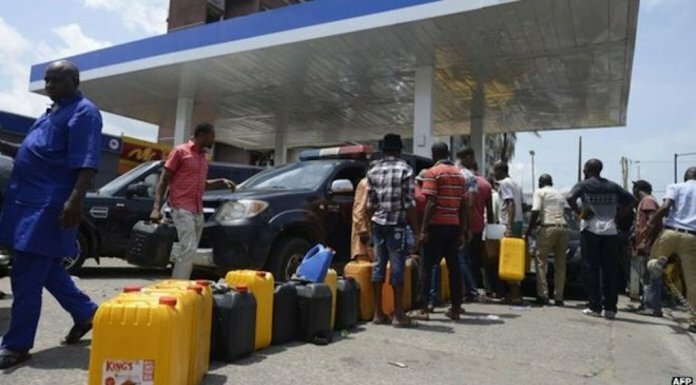 They should ensure that it was used to pay their salaries the way I would have loved to do. “So, in selecting the presidential candidate for our party, Ekiti delegates will vote wisely. We will vote for a president we can trust and the one that will see all Nigerians as one,” he said.